I’ve always been a huge fan of WKRP in Cincinnati, the classic T.V. sitcom from the late 1970s that focused on the hijinks of the employees of a fictional radio station in Ohio. Part of the show’s appeal can be attributed to its many on-air disk jockeys – be it the irreverent rock and roll riffs of Dr. Johnny Fever or the silky smooth stylings of Venus Flytrap. 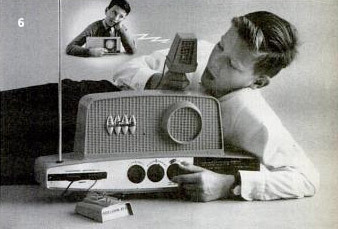 No wonder I was immediately drawn to the Caravelle, a transistorized AM radio receiver and transmitter from Remco. 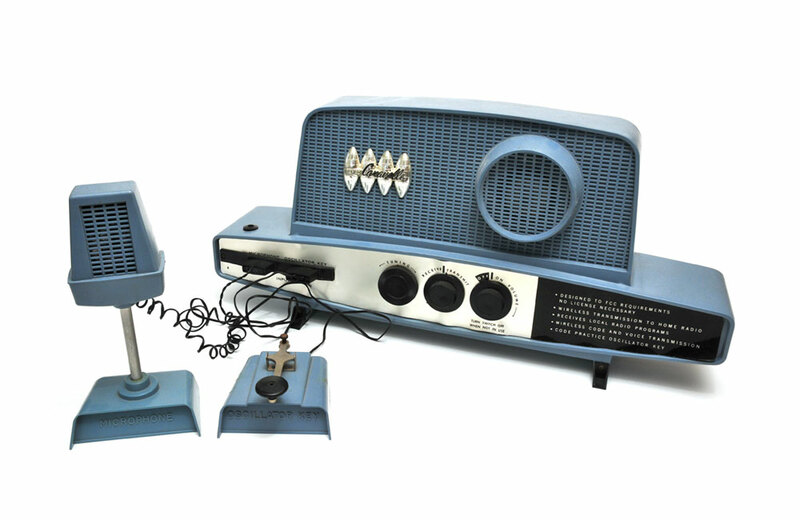 Released in 1962, the toy radio is easy to assemble and includes a microphone and a Morse code oscillator key that both plug into the base unit. A single 9-volt battery powers the toy, giving it a “without wires” capability that Remco often highlighted in its advertising. When powered on, the Caravelle’s integrated 3.5-foot antenna receives local AM radio broadcasts and can transmit on AM frequencies in a 500-foot radius. While this distance wasn’t enough to enable kids to launch a full-blown pirate radio stations, it was most certainly enough to dazzle one’s family with one’s DJ skills and gift for the gab. And fear not, the Caravelle was designed (at the time) to Federal Communications Commission requirements, meaning that it could be operated without a license! In 1968, Hasbro released the Pie Face Game, a cream-pie variant of Russian roulette. The Sound-A-Round Talking Puzzle combined puzzle building and story telling for kids ages 3 to 7.